← Plombiére-les-Dijon to St Jean-de-Losne on the Saône river. Misty morning view from the deck. Can you see the silvery strands of a spider web? So many gorgeous sunsets. How lucky we are. Well, it has been a while since I posted and that is because nothing hugely exciting had been happening. And I mean that in a good way. 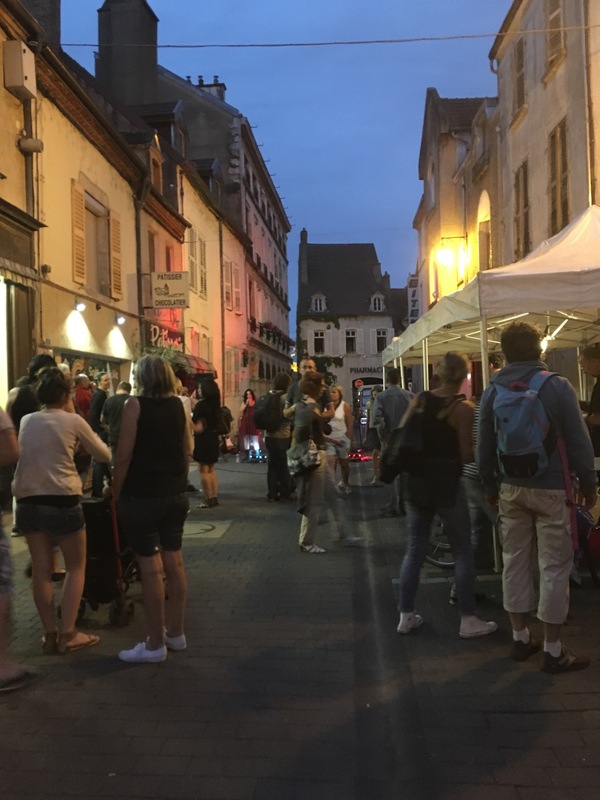 Live music on the streets of St Jean de Losne. So almost two weeks have flown by. 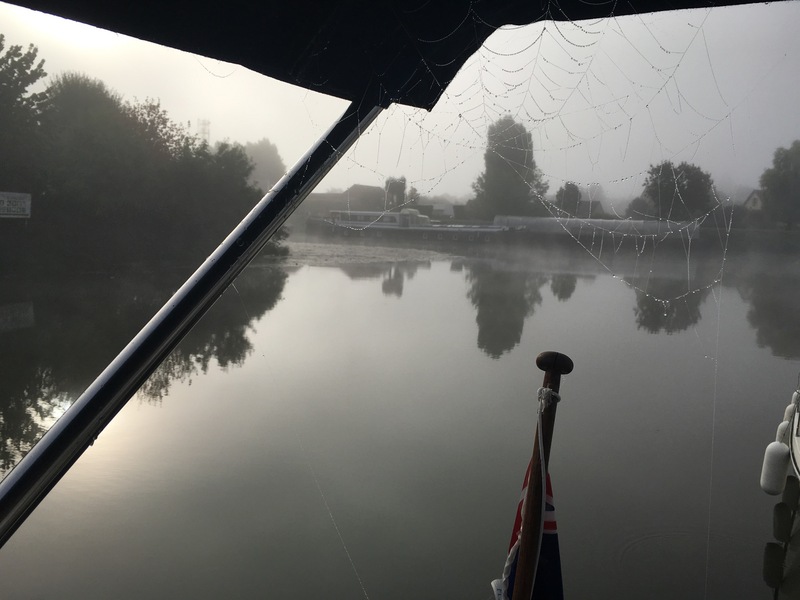 We’ve seen plenty of kiwi boats coming and going and it’s been great to catch up on where everyone has been/going and sharing knowledge. 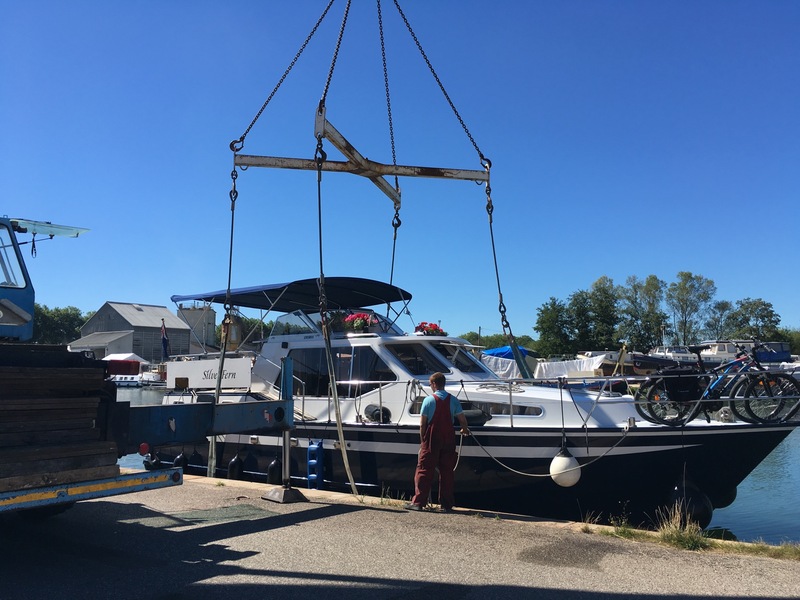 I mentioned last post that our bow thruster stopped functioning while we were in a lock weeks ago and so the lovely people at Blanquarts suggested they take the boat out of the water and check it out. 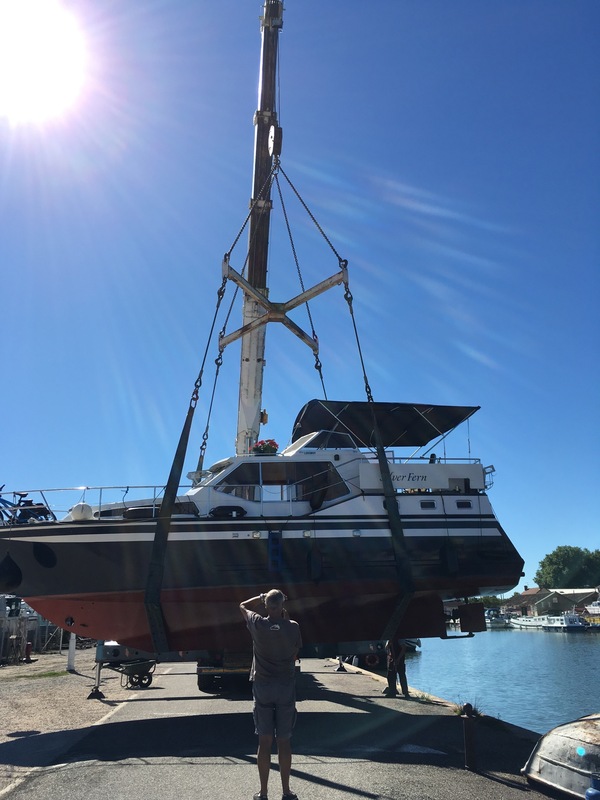 We assumed they wouldn’t be able to do it until winter and were surprised and delighted today when they told us to bring it through the first lock off the Saône and onto the work quay where they had a crane ready to lift Silver Fern out. They make it look so easy too. 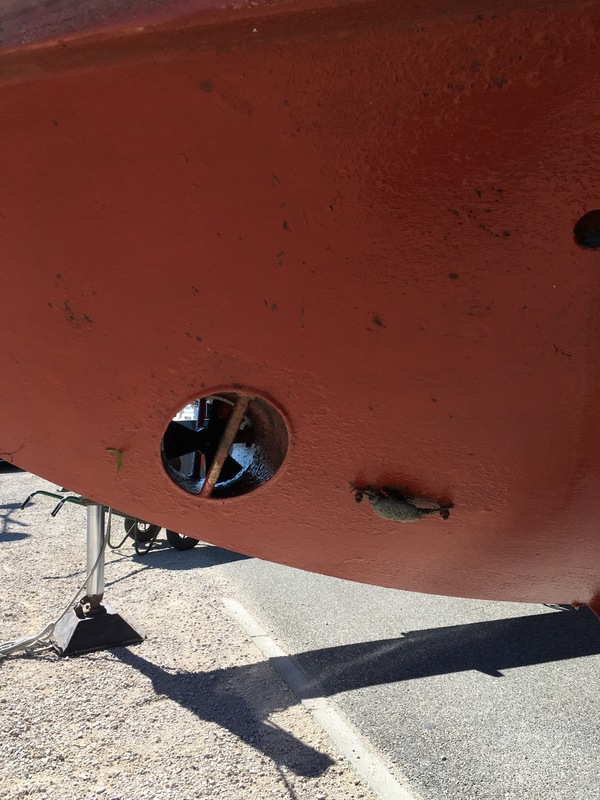 Once out they found the shear pin had broken and replaced the small bow thruster prop with a better model. That is a bowthruster! And the remnants of an anode. 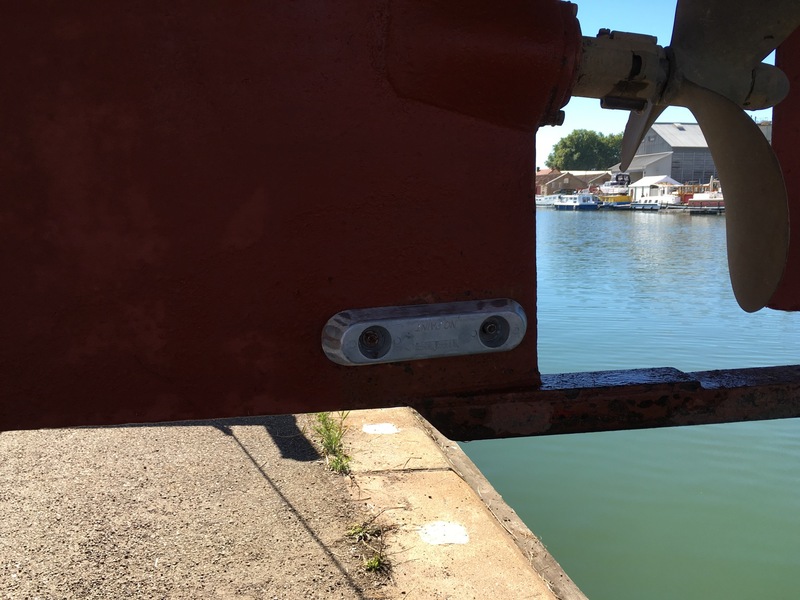 And luckily for us we saw that the anodes (which prevent galvanic corrosion of the hull from electricity generated in the water by attracting the corrosion to the anodes themselves rather than the hull which are made of a different type of metal- it’s a bit complicated!) were almost down to nothing and needed replacing. It’s a bit odd that in Auxerre, when they painted the hull, they didn’t think to mention it. 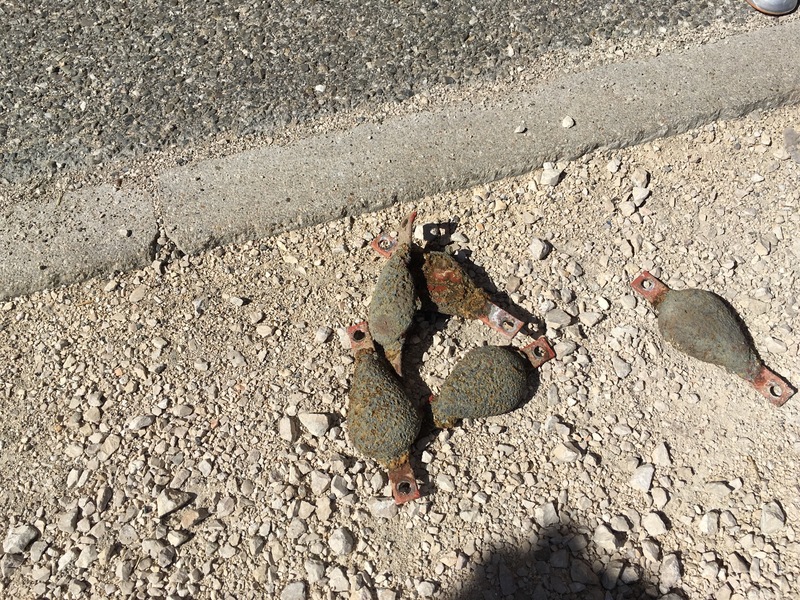 So anyway we had them replaced as well. 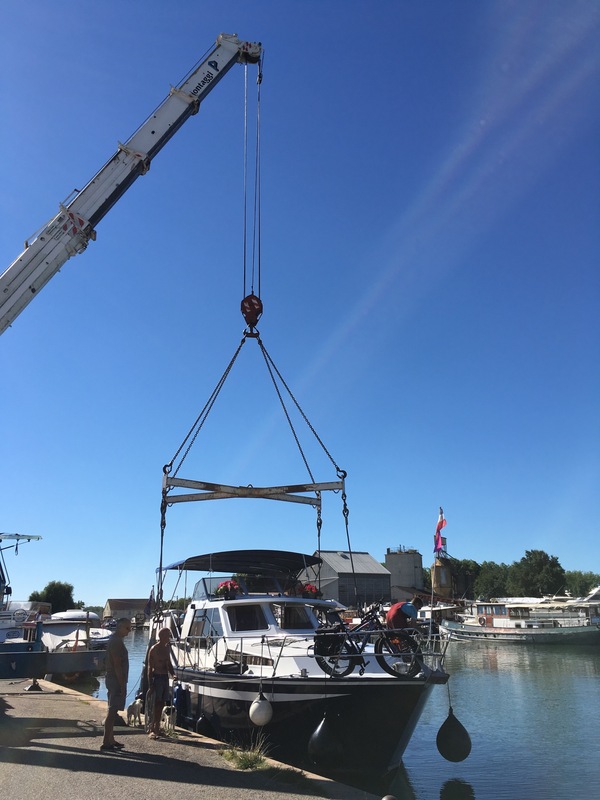 All this while our boat was hanging from a crane supported in a sling. Used up anodes off our hull. One of the six new anodes shiny and new on the hull. Little helpers. 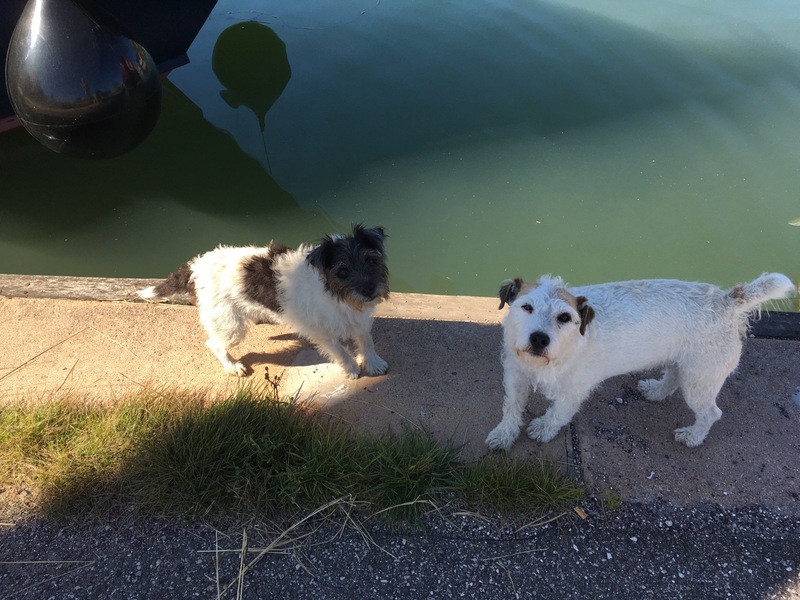 Meet Meg and Billy. And back in she goes. All done and back on the water. Easy. Fascinating to watch and nice to get a good look at Silver Fern’s hull. She’s been out of the water three times since we bought her but it’s the first time we’ve been here to witness it and take lots of pictures. Haven’t seen the bill yet. Gulp! 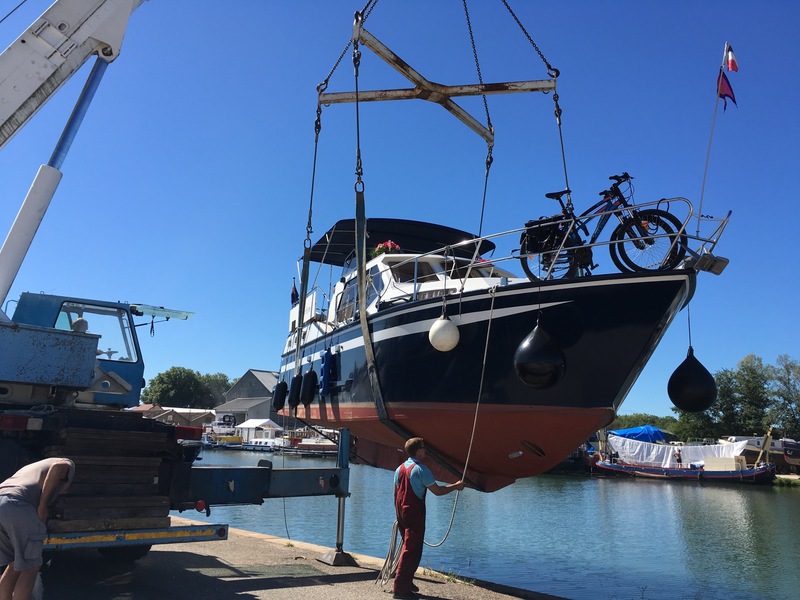 We took the boat out for a jaunt up the Saône to test the new bow thruster and it’s all good. 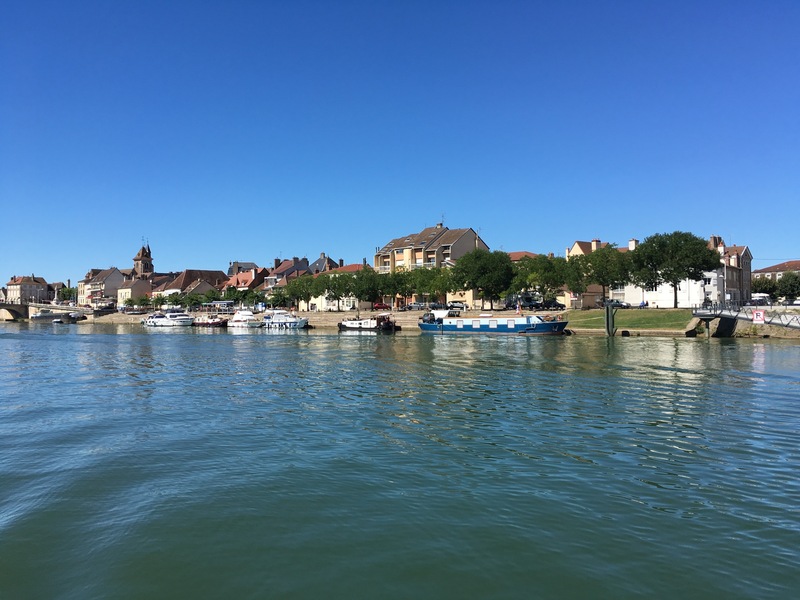 The St Jean de Losne stone quay. On the river the breeze is amazing! 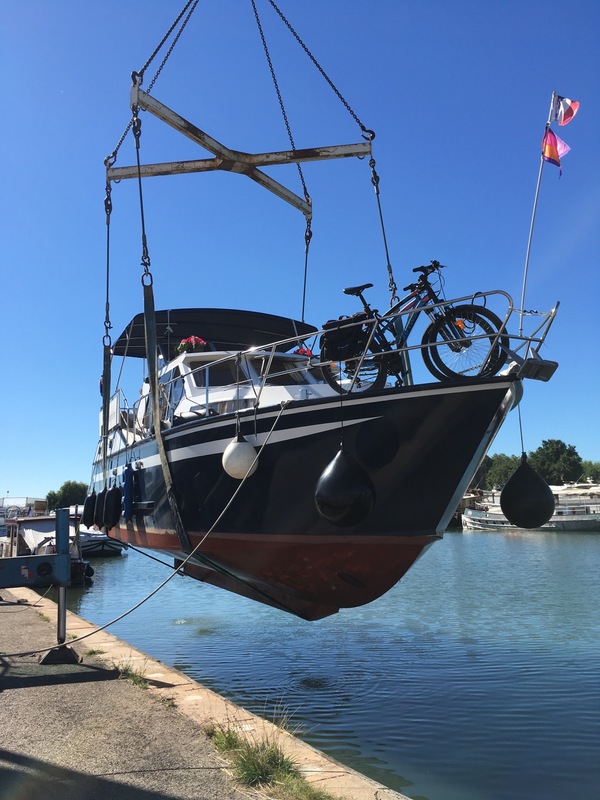 This week the temperatures are going up to 32° for a week or so and we’ve decided to head south down the Saône river to Lyon. 212kms away but only five large river locks. We are hoping for a chance to swim in the river! But first it’s washing day, book exchange day and trying to keep cool day! 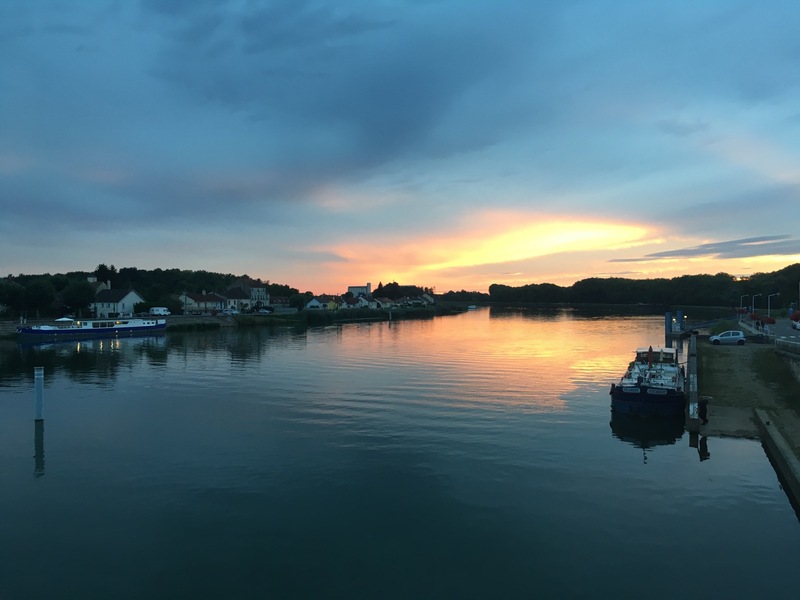 This entry was posted in Burgundy, France, French Canal boating, Holiday 2016, Saone river, St Jean de Losne, Travel and tagged Blanquart Marina, book exchange, bow thruster, burgundy, Canal locks, canalboat, Saone, Saone river, St Jean-de-Losne, sunset. Bookmark the permalink.